Izingwe Lodge consists of: the main lodge building with a large living and dining area, a veranda, bar and infinity pool; three guest private villas; an office; an outdoor “boma” dinner venue; a “hide” at the waterhole; and a well equipped fitness centre. 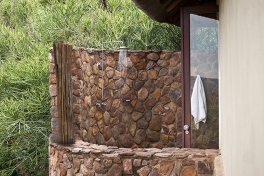 The three guest villas sleep 6 people in total and have en-suite bathrooms and outdoor showers. 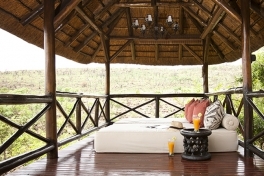 Each villa has a private viewing deck. With only three guest Villas and the Lodge only accepting single party bookings, guests are guaranteed exclusivity both at the Lodge and on safari. Elephant Villa and Lion Villa both have “salas” or outdoor day beds where guests can relax during the day while taking in the breathtaking views of the Waterberg Mountain range. 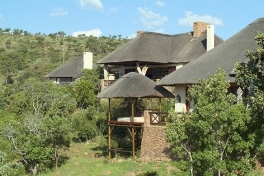 Izingwe Lodge is booked on an exclusive-use basis. During your stay you will have sole use of the lodge and all facilities. 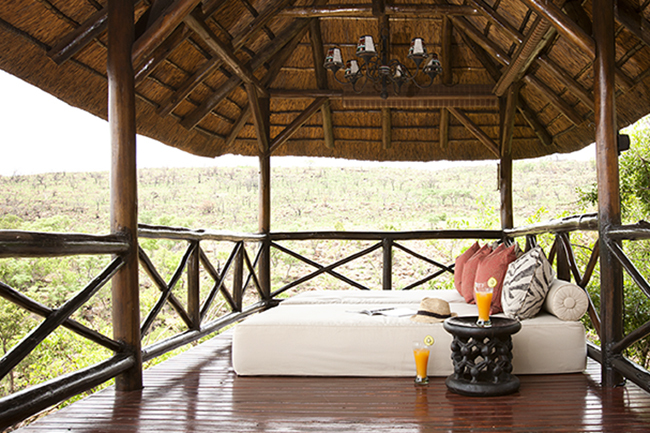 The Izingwe game viewing experience is truly personal and exclusive. 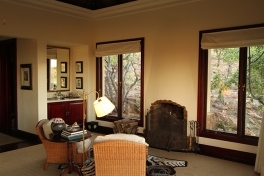 The intimacy of a private game drive with Angus Frew, our specialist guide, will insure an unforgettable safari experience. 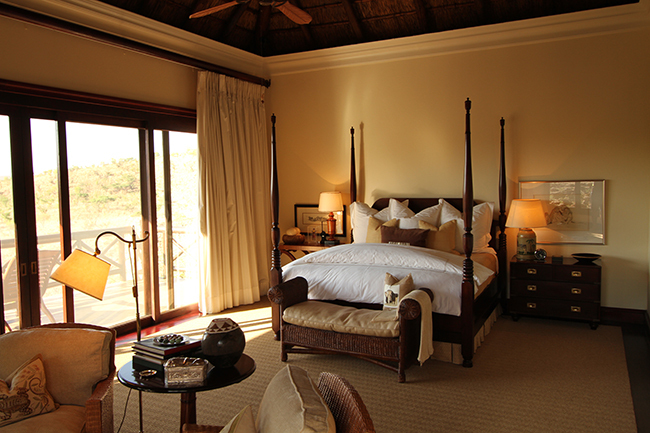 The nightly rate for an all-inclusive stay at Izingwe Lodge is $682 per person, with a 2 guest / 3 night minimum. 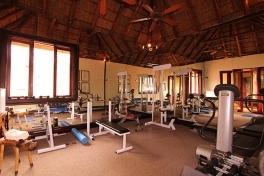 The rate is fully inclusive of all meals, local beverages, conservation levies, game drives with a specialist guide on a private vehicle, mini bar, well equipped gym, swimming pool, WiFi, and laundry. 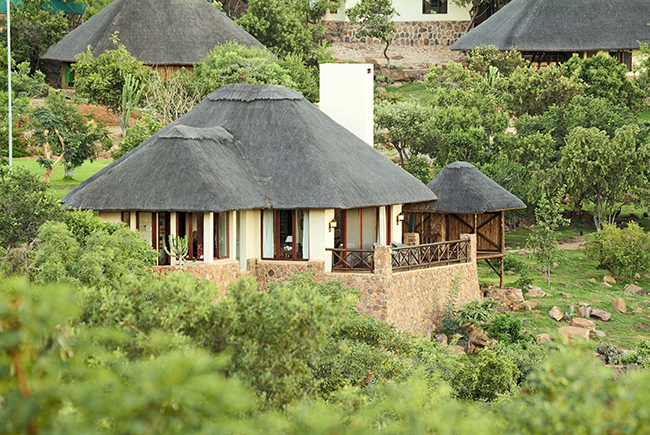 The rate excludes a 15% Value Added Tax (VAT) and road and air transfers to and from Welgevonden Game Reserve. 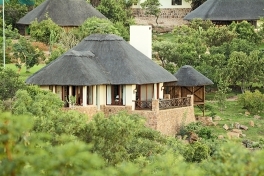 +27 (0)826008627 or book online at BOOK NOW.